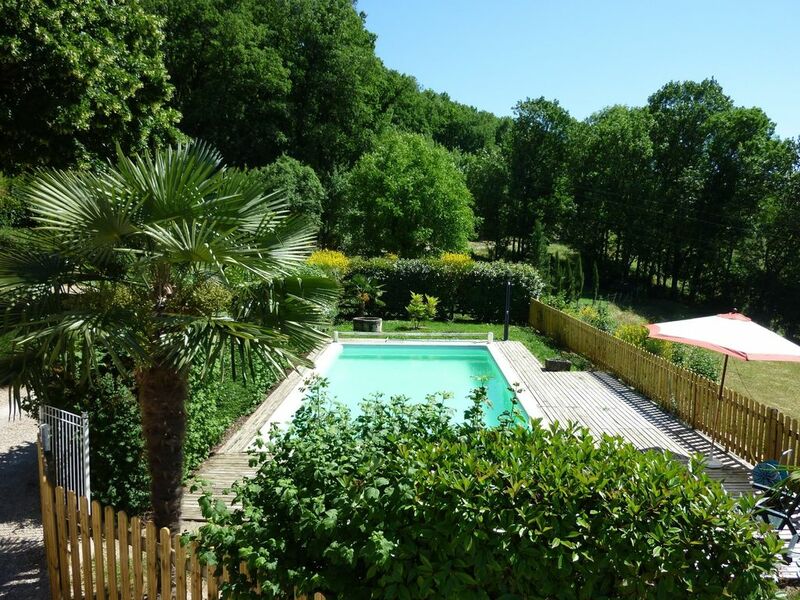 In the Quercy, Le Piboul is surrounded by 8000 m² of greenery. This house from the XVIIIth century can accommodate 6 persons. Stone interior, beams embellished by a fireplace, period style. The pool (10x5m) offers a stunning panoramic view. A great, secluded property with lovely pool. It was a lovely, secluded property and perfect for our holiday with a 2 and a 1 year old. The kitchen was well stocked with pans, glasses, crockery etc. The swimming pool was clean and well maintained, and has a safety gate. Sheets and towels are not provided. Verfeil is the nearest village with a bakery and shop (5km away).